We buy damaged cars nationwide. Fixing your car may not always be the best option. Get an Instant Quote for Your Car. Oregon is packed with amazing things to do. But in this sprawling state, you’re not getting anywhere without a working car. Unfortunately accidents happen, so if you’ve suffered a collision on Old Oregon Trail Highway, Pendleton Highway or any of the state’s side roads, we’re here to help. Who are we? We’re DamagedCars.com. We buy junk cars for great prices, and we want to let Oregon’s drivers know they have an alternative to typical, penny-pinching scrapyards in their local area. We’ll make an offer in 90 seconds or less, making a top-tier offer for salvage cars, damaged cars and worn-out, rundown clunkers. Click HERE to get your online quote today! DamagedCars.com has been in the business for years. Maintaining our excellent rating and reputation, we’re an active member of the Automotive Recycling Association. We’re United Recycling Group members, too. We’ve found a way to give drivers good money for their vehicles, strategizing an intuitive offer system to help people with non-running vehicles. We buy cars online for much more than scrapyards offer. We’ll swing by within 24 to 48 hours, too, picking up your vehicle and paying you on the spot. What Kind of Cars Do You Buy? DamagedCars.com buys all kinds of vehicles! We buy old cars, rusted cars, water damaged cars and everything in between. We feel every car has value—even if it won’t run anymore. If your car has a bad transmission, a bad engine or both, we’ll give you money for the vehicle’s remains. You can sell your car from your home, too. If you have a rusted, clunker vehicle sitting on your lawn, don’t pay to get it towed to a scrapyard. Get an offer, wait for a DamagedCars service provider and get the money you deserve. How can I get an instant quote for my vehicle? It's simple and it takes less than 90 seconds... click the button below to get started and find out how much your junk vehicle is worth! Vehicle Pick-up is FREE Nationwide. No Haggle. No Fees. We are A+ rated business at BBB. What Do I Need to Sell My Car? The DamagedCars.com selling platform is simple. Once you’ve accepted our offer, you’ll only need your vehicle’s title and keys. Having your vehicle’s registration helps. If you have its bill of sale—even better. Just make sure you’ve removed any license plates before we arrive. We’ll make sure the title transfer is as smooth as possible. How Much Can I Get When I Sell My Car? We’ve made millions of offers on vehicles just like yours in our years of business. Thanks to our network of junk car buyers, we can make a better offer and get you way more than per-pound scrap prices that local buyers will offer you. We pay cash for cars in Oregon, which means you’ll receive a payment check as soon as we arrive. Once you’ve accepted our offer, you’ll have money in your pocket within 24 to 48 hours. We’ll pay you on the spot, too. You’ll never pay extra for towing. Happy with the offer? 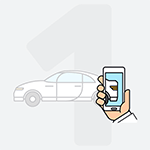 Provide proof of ownership, and we will schedule the pick-up of your car and deliver the payment at the same time. We will hand you a check during the car pick up. Oregon’s state flag features a beaver on its reverse side, making it one of the nation’s most unique state flags. Interestingly, Oregon also has more ghost towns than any of the nation’s other states. A popular tourist destination, Oregon’s Columbia River Gorge is one of the best locations, in the world, for windsurfing. Where Do You Buy Junk Cars? We’ll offer assistance if you’re in a small town, too. We don’t want your “sell my car in Oregon” search to be in vain. DamagedCars.com is dedicated to our drivers, making us one of the most reliable providers around. Contact us today for more information, or get an offer instantly through our Offer Portal. How much do we pay for cars? No car is damaged the same way and no offer is the same. All of our offers are unique and based on individual situations. Our offers are based on your vehicle's year, make, and model. 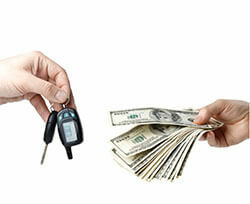 And the factors that can affect your offer is the mileage and current conditions of your car. The pre-accident market value of your vehicle, such as values that may be listed in the Kelley Blue Book, also comes into consideration. 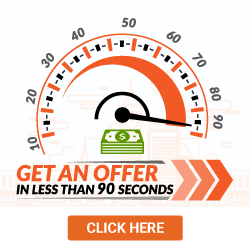 How can you get a guaranteed offer? Getting your offer has never been easier, simply submit your vehicle and you will receive your offer! 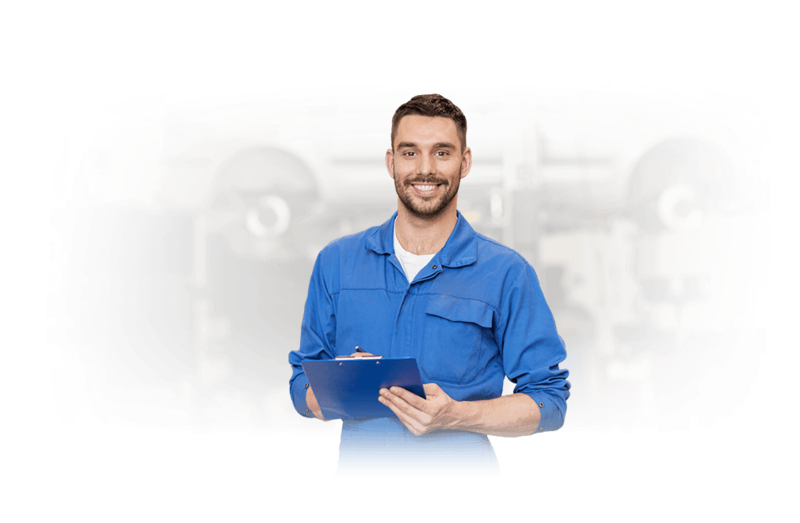 If your vehicle did not receive an instant offer don’t be scared, we just want to ensure that you receive the highest return possible for your car and please allow one of our certified customer service representatives to reach out and get you an offer! What should you know before selling to a junkyard or private buyers in Oregon? Do not accept any offer that wasn’t the one you agreed on. Many competitors will use this marketing tactic and they will try to lower your offer and expect you to accept that new offer since you’ve already invested so much time and need the car gone. How Much is My Car Worth? Want to Sell Your Car? What kind of cars does DamagedCars buy? DamagedCars will purchase damaged vehicles of any type, including vehicles with physical or mechanical damage as well as junk cars. I was skeptical of Damaged Cars because it was a company I was not familiar with and they pay with a check which I was uncomfortable with in a world where everyone is trying to screw you but after a lot of research and speaking with their kind reps I saw that it was a legit company with phenomenal reviews and A+ BBB rating. Damagedcars gave me a fair price for my wrecked car. I called for an estimate and in less than a week the car was towed and a check was in my hand. A great service and I highly recommend it for anyone that needs to sell a wrecked car quickly. I was very surprised at the ease of doing business with damaged cars. com. Super fast and they worked around my schedule. They even upped the sale price when i pointed out some positive features of the car I was selling. Very impressed. I would recommend them to anybody looking too get rid of a car. Use our Price Checker Tool to find out how much you can get for your car. WAIT! We Want to Pay You for Your Car! We pay $100 - $10,000+ for junk cars, and even non-running cars! 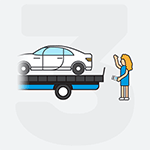 Get Paid in 24-48 hours with FREE Towing included! Get My FREE Offer Now! *Obligation free offer, no haggle or hassle!